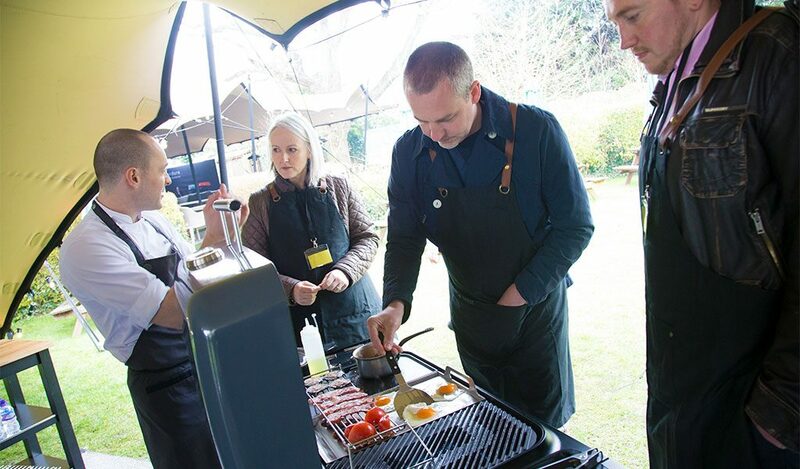 Garden Centres and Department stores from across the UK received an invitation to Bray in Maidenhead to enjoy a hands-on cooking experience with an Everdure by Heston Blumenthal BBQ range. 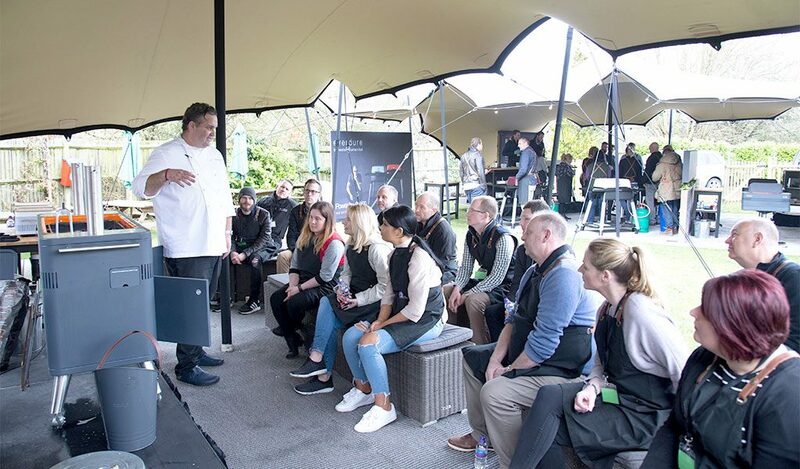 Hosted in the garden of The Crown, Heston’s very own gastropub, the event included chefs from the award-winning Fat Duck Team. 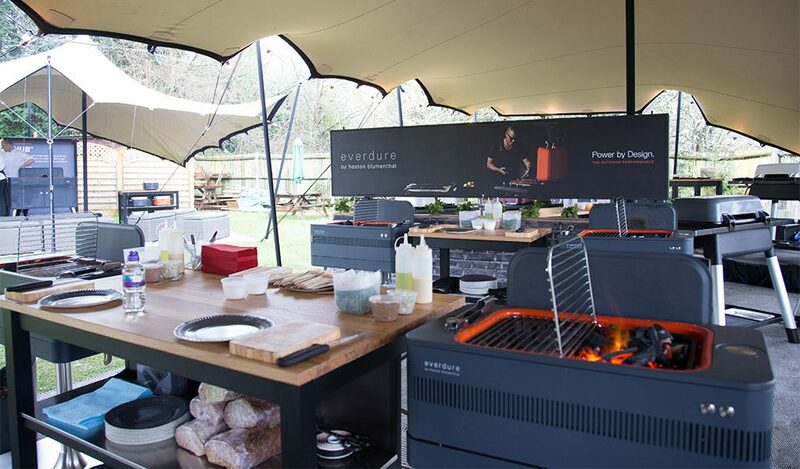 The Everdure by Heston Blumenthal range was on full show over the two-day event. Heston’s usual, unique cuisine was cooked on gas and charcoal barbeques. From all-day breakfasts to sweet desserts, guests were taught how to harness these impressive outdoor cooking machines with tasty results. Staff from John Lewis, Notcutts and other garden centres attended the event. Despite the cold and wet British weather, the enthusiasm on the day showed our passion for a good old-fashioned BBQ. The event included four cooking stations, each with their own recipe and BBQ. 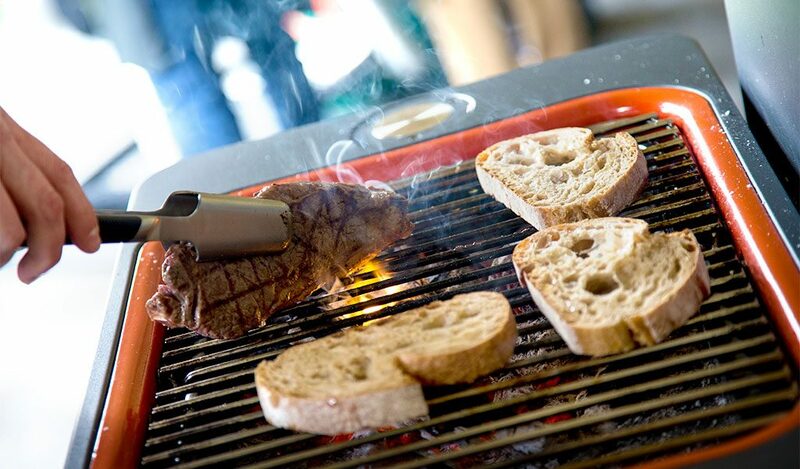 Steak with blue cheese and watercress on toast was cooked on a Fusion charcoal BBQ. Guests cooked an apple tart and full English breakfast on the Force and Furnace gas BBQs. While we learnt, a suckling pig cooked throughout the day on the built-in rotisserie system of a HUB charcoal BBQ. We then closed the event with pulled pork sliders, with a brioche bun, specially made BBQ sauce and coleslaw. See the full recipe here. Our aim for the event was to show our customers just what you can achieve on our unique BBQs. Look out for our new Everdure “Ambassadors”, ready to inform you of what delicious food they made at our event. We would like to thank all who attended our BBQ experience. Also, a big thank you to the chefs from the Fat Duck team. They arranged the delicious recipes and imparted their extensive knowledge. We hope this will inspire the whole of the UK to go out and master the heat on their BBQ.